Rumored roadmap reveals that Exynos chipsets will feature Samsung's own GPU in 2017 or 2018? A rumored roadmap reportedly shows that Samsung will be using its own GPU on Exynos chipsets in 2017 or 2018. But before that happens, Samsung is supposed to employ Heterogeneous System Architecture (HSA) for its Exynos chipsets. With this architecture, the CPU and GPU are located on the same bus, allowing them to share the same tasks and memory. The bottom line is that a handset employing an HSA chip should run faster and offer improved graphics. According to the alleged roadmap, Samsung will debut an Exynos SoC with HSA in a year or two. The chipset will include a Mali GPU. Then, in 2017 or 2018, the Mali graphics processor will be replaced by a Samsung produced GPU that will be found in another new Exynos chipset. Back in September 2014, we passed along a rumor that Samsung was working on its own graphics chip. Since these things take time, it could be that the company is on schedule. Samsung is said to be working on a new chipset, dubbed the M1, for its next generation of smartphones. We have seen a chip called the Exynos 8890 benchmarked on a device called Lucky-LTE, which just so happens to have specs similar to what we expect on the Samsung Galaxy S7. That would seem to indicate that the Exynos 8890 is the M1, and will be the new featured chipset on Samsung's high-end devices in certain regions. A report last week said that Samsung plans on using the Snapdragon 820 SoC on Galaxy S7 models headed for the U.S. and China, while the new Exynos chip would be found under the hood in the rest of the world. Holy s**t. This is exciting! I want exynos on all devices pls. Their innovation never ceases to amaze me. Yeah, Keep dreaming. Adreno will be fine as long as Qualcomm keeps improving their GPU. Qualcomm hasn't improved architecture in last 4 years...in cpu they are just increasing clock speed and in gpu increasing number of cores and clock speed...thats all. No, Qualcomm improves its architecture. While Adreno 320 was crap, Adreno 330 came out a lot better. Also while Adreno 420 is weak for QHD, Adreno 430 is good enough. Thanks to the LAZINESS of Qualcomm!! This a news and Alan is doing his job, that's it. Take a pill, fanboy! Samsung potentially is going to stop using 3rd parties for their hardware. Even thought recently PA posted an article saying Samsung signed a 5 year deal for chips, Samsung could just use them as a backup in the event their own stuff isn't ready for the mass production needed. But with the money Samsung Electronics spends on R&D, they could potentially beat every mobile chip offering for phones and could make the top end of the Galaxy line blow benches out the water. I can't wait to see what they come up with, I'm curious as to why Samsung chose Mali vs the PowerVR. They used the PowerVR in the S4 and it seemed fine for the most part. But a Exynos with the GPU on the same die, sharing the same BUS and RAM is a very efficient setup. But Samsung really needs to take ARM's concepts and design their own chip. If they get to thsi point, they are goign to be the best OEM for mobile over anyone. 1) CPU and GPU in 99% of mobile chipsets ARE on the same silicon. 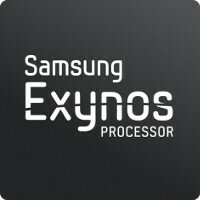 2) There's nothing wrong with Mali inside Exynos either. 3) Noone knows what Samsung's GPU is and nobody of us knows how it performs. The first pancake is always a failure. 820 for USA. Hope they get it right this time. Snap Dragon that is. I serious doubt that the Exynos 8890 is the M1, all the scores it got are pointing out an octa core with 4xA72 @2,3GHz + 4xA53. If the M1 cores really exist they won´t come for the S7. Mark my words! In Samsung, we trust! Especially with the chipset. If Samsung continue to morph into Apple to me it really won't matter how good their SOCs are. I wonder what Samsung is using as the GPU. They would have to license the or purchase patents and technology in order to produce a new GPU architecture. I haven't heard of them purchasing any new GPU patents, so is the new GPU a Samsung modified version of an already licensed GPU (Mali, PowerVR, etc)? The current Mali GPU is licensed from ARM, so if they continue to license it, can they use its technology to produce their own? Samsung could buy ARM Norway department like Apple did with IMG.